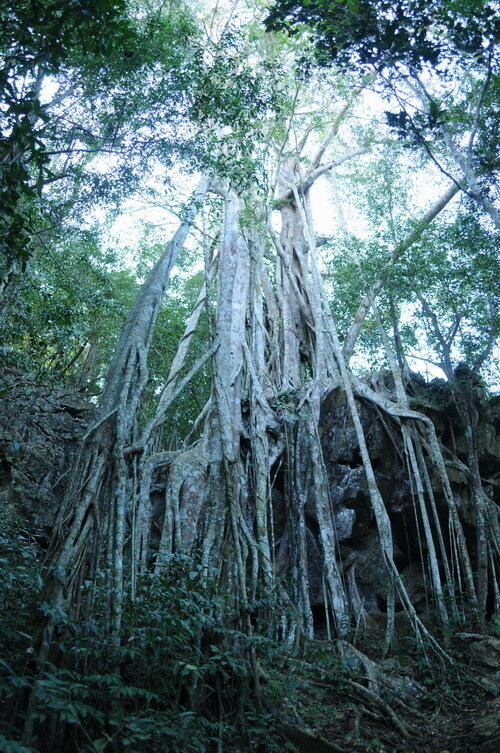 Lying due east of the gourd-shaped Xishuangbanna Tropical Botanical Garden (XTBG), the Green Stone Forest is home to a lush limestone seasonal rainforest. Encompassing a great diversity of habitat and topography, the forest is home to more than 1,000 vascular plant species and a wide array wildlife. 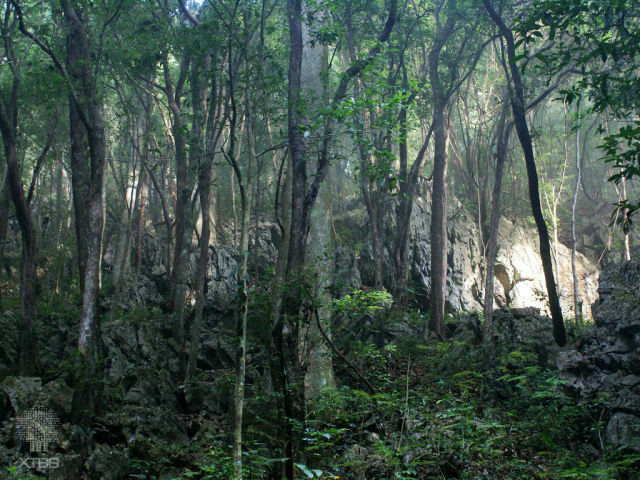 It covers an area of 225 ha and its forest coverage is above 90 %. On the slopes of the forest, plants and unique stones complement one another, forming a picturesque scenery described as “forest growing on the stone.” As the original habitat of hornbills, monkeys, gibbons and orchids, the Green Stone Forest now serves as an important site for reintroduction of these rare animal and plant species.